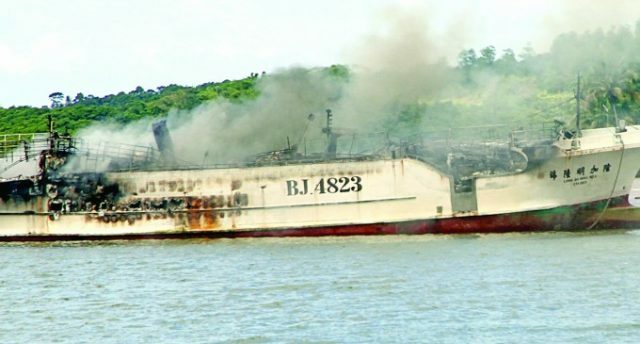 On October 17, the 29.7 meter long, 98 gt fishing vessel Long Jia Ming 6 caught fire while berthed at the Fiji Fish Jetty. The fire started in the vessel’s engine room and quickly spread through the superstructure. The crew attempted to extinguish the blaze, but their efforts were in vain. The crew were forced to abandoned ship and authorities had the Long Jia Ming 6 towed away from the jetty and beached away from other vessels. 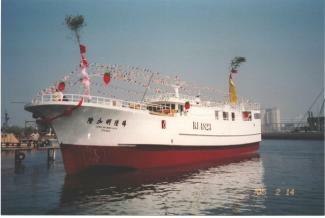 The local fire brigade was able to extinguish the fire, but not after much of the superstructure and hull of the Long Jia Ming 6 was burned away. Reports state the fuel tanks of the Long Jia Ming 6 had leaked due to the fire and pollution was spotted around the wreck. No reports of injuries. The 150 meter long, 10603 dwt reefer Baltic Performer became disabled off Penmarc’h, France. The Baltic Performer was headed for Dakar, Senegal with 6100 tons of vegetables from Vlissingen, Netherlands. 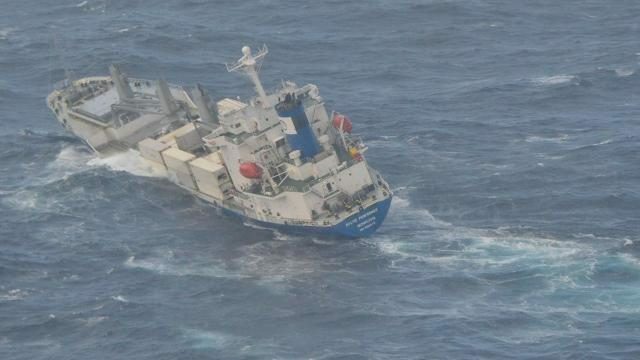 While off France, the vessel was hit by strong winds and heavy swells with waves reaching 9 meters in height. In this difficult conditions, the vegetable cargo shifted resulting in the vessel developing of a 15 degree list to port. Fearing the vessel may capsize or sink, the Baltic Performer requested assistance. Authorities dispatched a tug from Camaret to assist the reefer. Several hours later, the tug reached the Baltic Performer and escorted the reefer to shelter off Brest, France. No reports of injuries or pollution released.